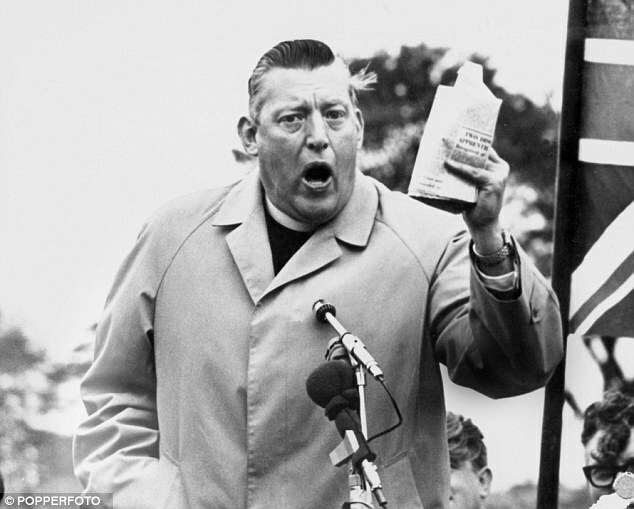 A Not-So-Quiet Man… Ian Paisley 1926 - 2014 - Charley Brady - Opinons; My Own. A version of this piece appears in the October issue of Chicago’s ‘Irish American News’. 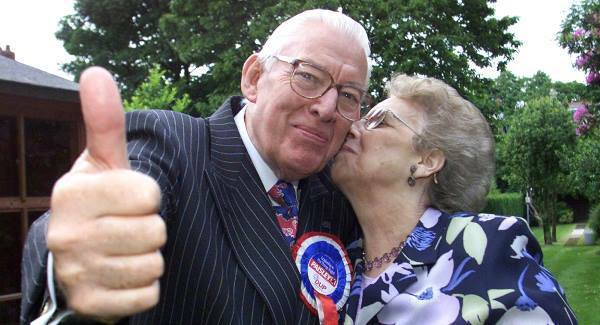 So… the week in which I’m writing this is the one in which Ian Paisley went off into that good night; and at the end, I suspect, he did go gentle. After all, he had been a very different figure in these past years from the ranting old- time preacher and bigot that I would have grown up with. Certainly, we’re not getting to any great extent the very different arguments that accompanied the passing of Margaret Thatcher. For myself, as I do so often these days, I wonder what my late father Tom would have made of it all: what would he have thought of eulogies from one-time enemies such as Martin McGuinness or Gerry Adams? Tom was a quiet and unassuming man, but at one time the very name of Paisley was enough to set him off on a rant all of his own. In his day Paisley, with his firebrand oratory, was almost on a par with internment and the hunger strikes when it came to bringing people over to the Republican cause; and as I grew older and was able to tell Tom of some of the –to him—astonishing stories of how many decent acts Paisley did behind the scenes for the same Catholics that he reviled in public, he found it hard to credit. Paisley was a complex man, to put it mildly. In government documents released in accordance with the 30 Year Rule, the Secretary of State for Northern Ireland James Prior makes a remark that like a lot of his kind of hard-core Unionists there were people ‘like Paisley, who were schizophrenic’. I doubt that Prior was passing any sort of opinion on the man’s mental state and yet the word seems curiously apt. Certainly, Ian Paisley may have been the reverse of the old adage and was in fact a house angel and street devil. Well, he’s gone now and– showing one of their best traits– the Irish are unwilling to speak ill of the dead. After all, this man has a family who as I write are mourning him. So that’s as it should be. Still, you’re reading this some weeks later and so it’s worth a quiet reminder that despite the good things achieved in his later years, it would have saved many lives if he had come around to a more peaceful way of thinking earlier. And that statement of course can be twisted as it will be pointed out that the same could be said of the other side as well. It galls just a little, though, that only the good things are remembered when his ruthless casting aside –just for example—of such moderates as David Trimble are all but forgotten. We’ve seen it all before, of course: live long enough and your transformation from bad guy to hero will often end up complete.